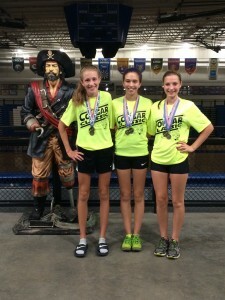 Lady Pirates Place 6th at Cougar Classic, Three Medal! Cross Country will be in action again next Tuesday in the Scottsburg Invitational; and will be fund raising for their program this Saturday with a Yard Sale and Bake Sale at the Charlestown High School parking lot from 9am to 2pm, and a Car Wash at the Charlestown Firehouse on Park St from 11am to 2pm. 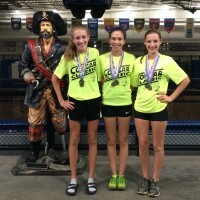 For more information about Pirate and Lady Pirate Cross Country, log on to www.PiratePride.BLUE/CrossCountry.